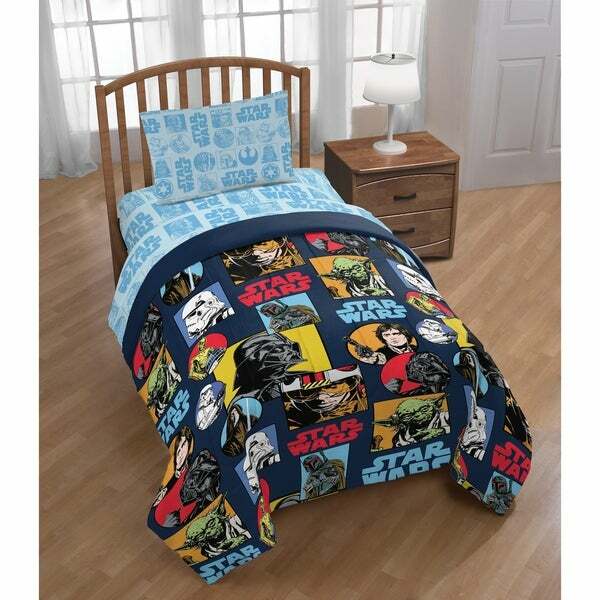 Relive the excitement and adventure of Star Wars through the eyes of your child by giving them this comfortable Star Wars print twin comforter. This comforter is reversible, making it easy even for smaller children to make their bed correctly and keep things tidy. The 100-percent polyester construction lends durability, machine washability, and comfort.